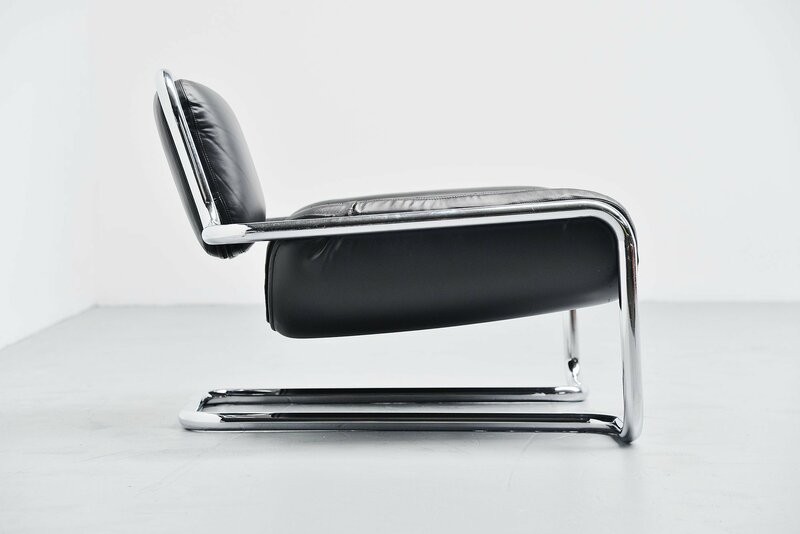 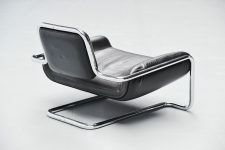 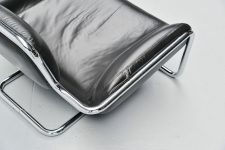 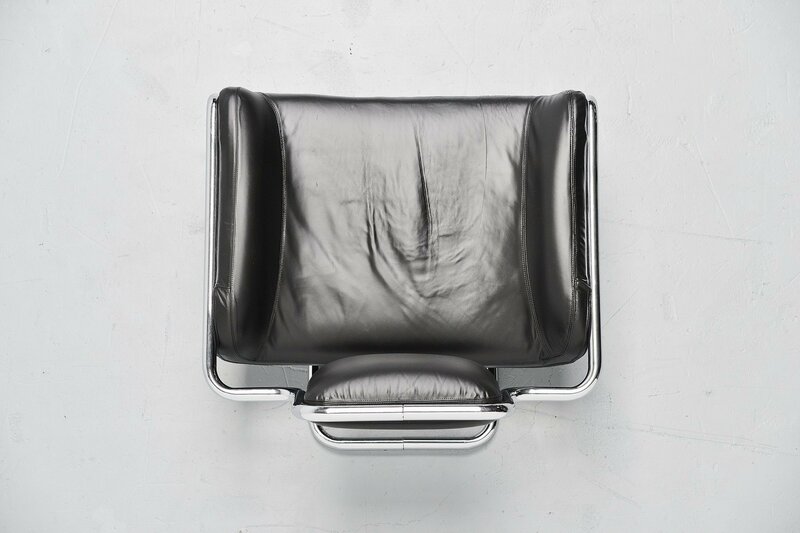 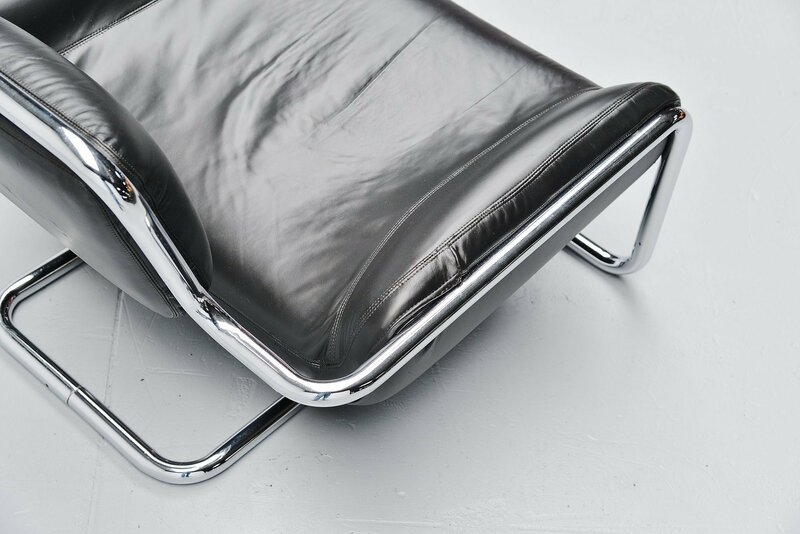 Rare low lounge chair designed by Kwok Hoi Chan and manufactured by Steiner, France 1971. 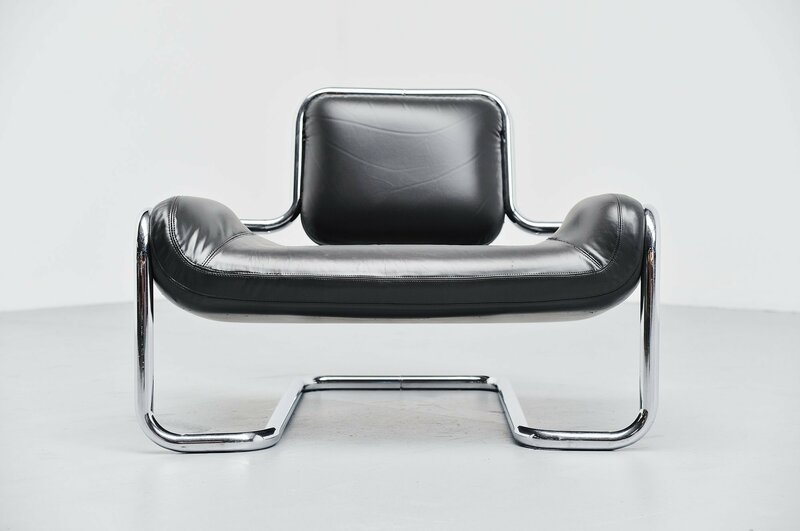 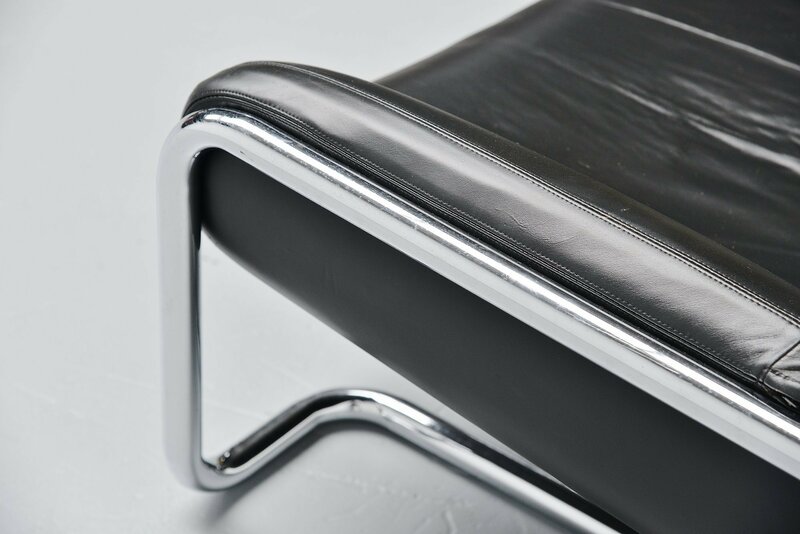 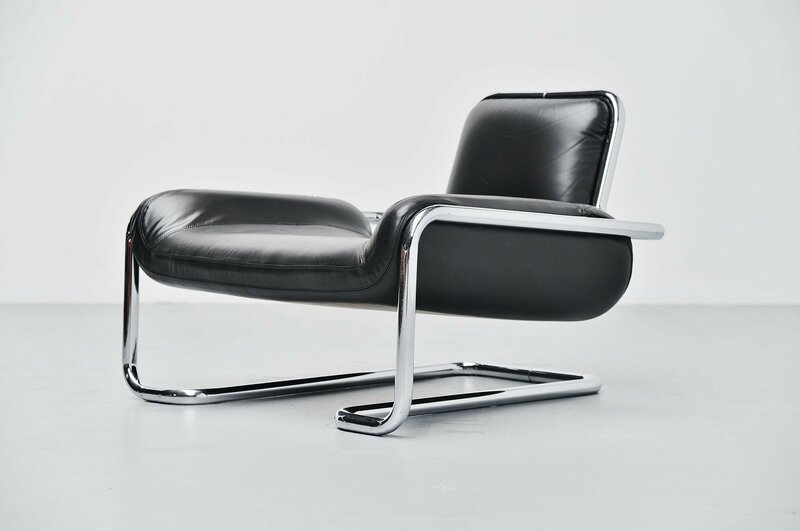 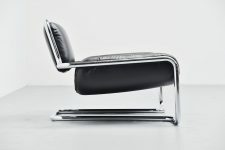 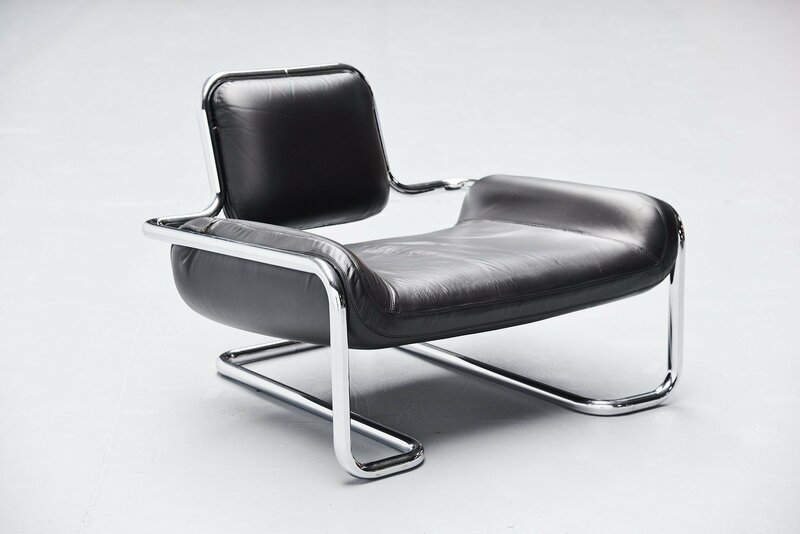 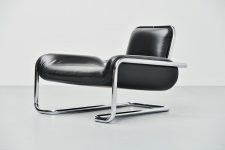 This fantastic shaped lounge chair has a thick chrome plated tubular metal frame and black leather upholstered seat. 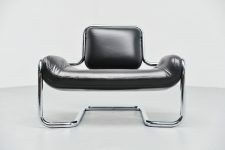 The chair seats very nice and comfortable. 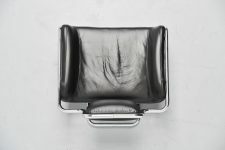 This chair is an early production and in very good condition with minor wear due to age and usage, leather has a nice patina and the chrome is in excellent condition.